Photographers Technical Support specializes in helping small business with website and email problems and development. We specialise in creating and changing WordPress websites, SEO and performance optimization, and we can make email systems more reliable and virtually eliminate spam. We have a lot of experience and a special interest in helping professional photographers, but we work with any kind of business. We can help with one off jobs, solve problems, or act as your long term technical partner. We have extensive experience with WordPress – setting it up from scratch on a new website, maintaining existing WordPress installs, performance and SEO work, plugin optimisation, security, dealing with spam, etc. See more about our SEO & performance services and our website services. 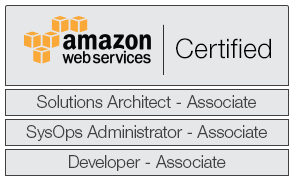 We hold the Amazon Web Services (AWS) certified solution architect professional, system operator (sysop) associate and developer associate qualifications. As such we’re well qualified to do a wide range of work with AWS – website migrations, diagnosis, re-architect for high availability, etc. 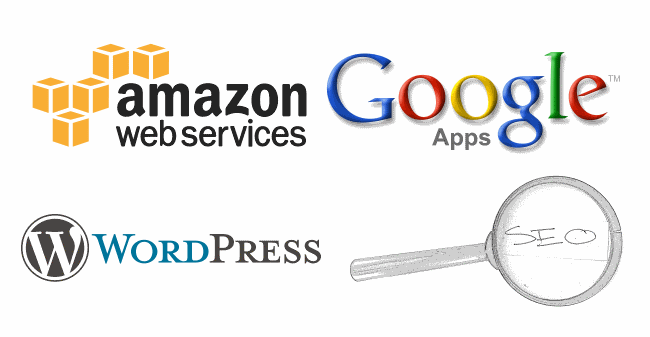 We host many websites on on AWS ourselves. Read more about our AWS services. We can register your domain name, set up your WordPress websites, do web design, make changes to your existing website, create a mobile friendly website, move your website to another web host, or do virtually anything else with your website. We have years of WordPress experience, it’s one of our specialties. Read more about our website services. We have a special interest in SEO. We can do SEO (search engine optimization), increase website performance (which is integral to SEO), create or optimise a mobile website, and more. Read more about our SEO & performance optimisation services. We can help diagnose problems with email, deal with spam, migrate your email to a different host (e.g. Gmail/Google Apps, FastMail, Office 365), and help configure your PC, Mac, iPhone or Android to check your email. This ensures your email arrives where it should, your customer emails reach you, and prevents spam from becoming an issue. Read more about our email services. We have extensive experience with Good Gallery – setting it up, SEO, performance work, gallery management, and working with WordPress on Good Gallery servers. Read articles about Good Gallery on our blog. Is something wrong with your Windows PC, iPhone, or Android phone? Is it going slow, does it have a virus, do you need advice on upgrading, or is something weird happening? We can probably help! Read more about our technical support services.